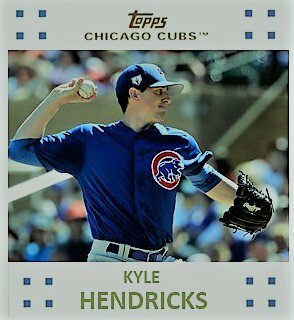 Kyle Hendricks Gets an Extension! Breakdown on Hendricks, per source. 2024: $16M vesting option or $1.5M buyout. Option vests based on Cy finish in 2020. NOT a club option. Deal also includes $3M per season in Cy escalators. Can max out at $79.8M. Oh, yes! I love this deal! While the deal is cost efficient, the Cubs sew up a pitcher beyond the 2021 season. Before today’s extension, only Yu Darvish was signed beyond 2021. Hendricks, who just turned 29, was originally in the Rangers’ organization before being acquired in the Ryan Dempster trade. He gets by on pinpoint control, a devastating changeup, and a lot of movement on all his pitches. As a Cub, he has posted a career 3.07 ERA over 5 summers. :Last year saw him get off to a poor start, but he recovered thanks in part to a very low 1.99 BB/9. When the deal is complete, Hendricks will still be in his prime at 33 or 34, dependinging on his option. Considering that he doesn’t have a violent delivery or need a 95 mph to dominate hitters, this is a very good deal for a pitcher who should be a peak performer for several more years. I also like the deal as it secures a great role model for up and coming starters who could, and should, be arriving within the next two years.